This photo captures one of my very favorite memories… Four years ago, my kiddos celebrated my Master’s Degree with me. And it’s timely… Teacher appreciation and Mother’s Day are both tucked neatly into this month. And it’s important. Because, in my early years, school was a struggle for me. Big time. All the time. Learning all. the. things. seemed much less important than what was going on around me. So I struggled. A lot. There were teacher’s conferences, lowered expectations, poor grades, and labels. Oh the labels. Stupid. Bad. Challenged. LD. My least favorite was LD. Learning disabled. How it arrowed the heart of my 10-year-old self. There were special classes where I really was just set aside, away from those who were actually learning. You know, the smart kids. And so we started failing a new way. Spending evenings wrestling with a 4th-grade math book to build a better foundation. Active listening in the classroom. Asking questions. Risking appearing stupid. Staying after to understand. After all, when you believe differently, you behave differently. I sent Miss Seeston an email the week this photo was taken thanking her for showing me a new way of seeing myself. You see Miss Seeston, my 9th grade algebra teacher, simply knew I would understand and expected me to grasp her algebraic concepts. She knew I could. 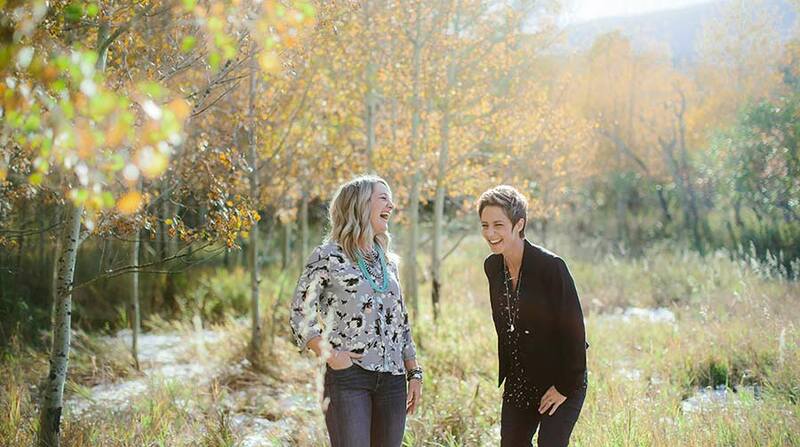 She taught me, without judgment, and then just waited until I knew I could do it too. And then, just like that, one day I did. And it changed everything. EVERYTHING. It changed how I defined myself, my abilities, and my intelligence. And that, in turn, changed my life. In fact, this photo shows me graduating with honors for the third time in my life. Thanks, Miss Seeston. And thanks Dr. Bob Horan and Dr. Carol Tollefson Mooney, too. 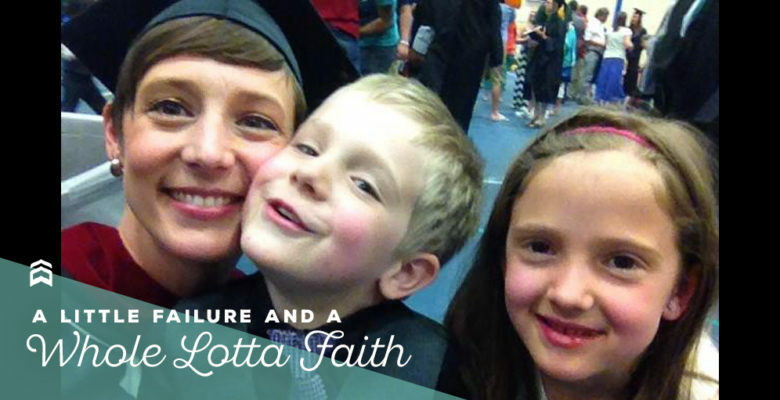 Having my kids see me achieve a Master’s Degree was one of my proudest moments. I was Ady’s age in this photo when I first started struggling academically. It was nearly a decade before I decided I could stop. That is a whole lot of believing you are a failure. When I decided I wasn’t, my Mom was the first person to whole-heartedly agree. This photo reminds me that as long as I believe in my kids (or any kids!) they will eventually believe in them, too. Kids need us to have faith in them. Our families, and brothers, and sisters, and friends need us to have faith in them. People need us to have faith in them. And now, our business has clients that need us to have faith in them, too. And we do. Oh, we do.